Show your Coca-Cola & Coca-Cola No Sugar love for the chance to win $2,500! If you are a talented up & coming or professional producer, rapper or singer and you love Coca-Cola, submit a 30 second jingle by May 15 for your chance to win $2,500. Entries should be inspired by the following words: Choice – Options – Bahamian - Refreshing – Love. Entries will also have to make reference to Coca-Cola & Coca-Cola No Sugar. Entries must be 30 second MP3 audio files, and will need to be radio ready, the original work of the submitting artist, and must not include copy-written music or materials. Entries must also not contain profanity. Submissions must be sent to nwells@cbcbahamas with the email header “Jingle Contest”. 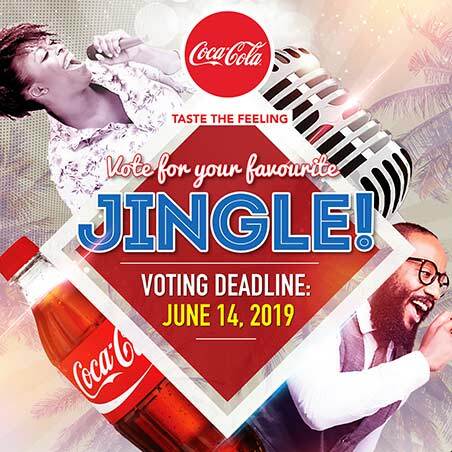 The top entries, chosen by Caribbean Bottling, will be submitted for radio rotation and the public will be allowed to choose the winner via online voting. The decision of Caribbean Bottling Company will be final. By submitted your entry, you grant CBC approval to use the content in its marketing promotions. The winning jingle will also become the property of Caribbean Bottling Company. The artist who submits the winning jingle will win a cash prize of $2,500. Only one prize will be awarded. Runners up will receive Coca-Cola gift bags.